Scindapsus pictus is a small climbing aroid from tropical Asia. The leaves are dark green with silver markings. If allowed to climb it lays flat to the surface and shingles up the tree or post it is climbing. It can also be grown in hanging pots were it trails out of the pot. 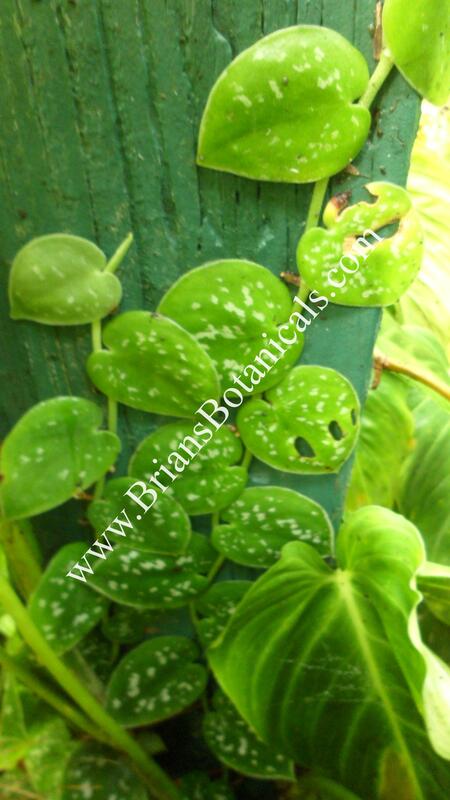 Great for Terrariums, house plant, or tropical gardens.